This winter I have been trying new ways of cooking root vegetables. 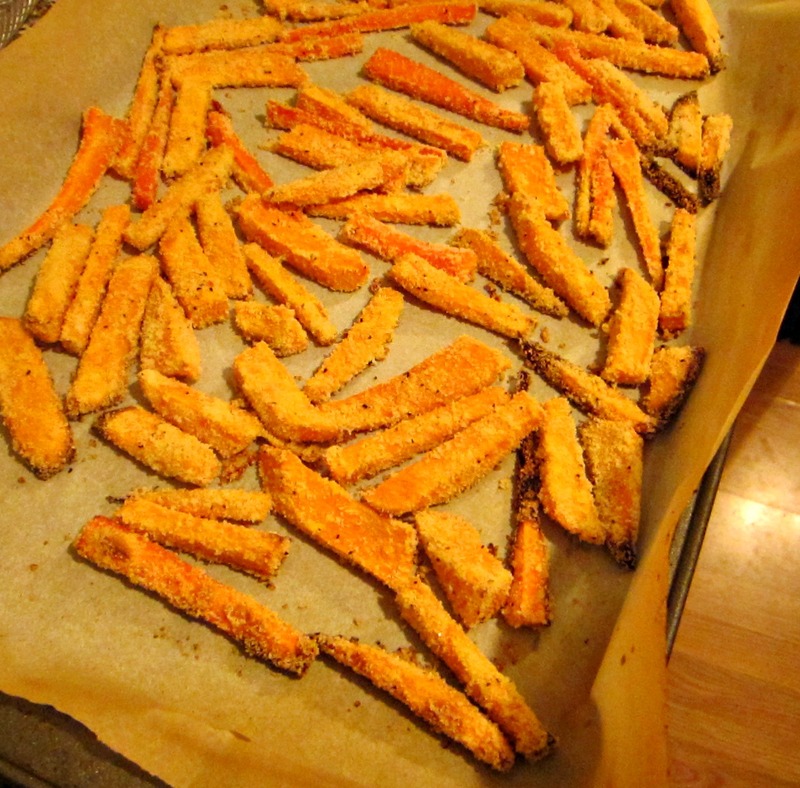 Trying to cook with local, in-season veggies has led me to roasting and a couple purees, and this simple recipe for veggie fries made from carrots and sweet potatoes. These fries are a great mix of sweet, salty and crunchy and make a nice sidekick to many a scrumptious dinner. 1. Peel and slice carrots and sweet potato. 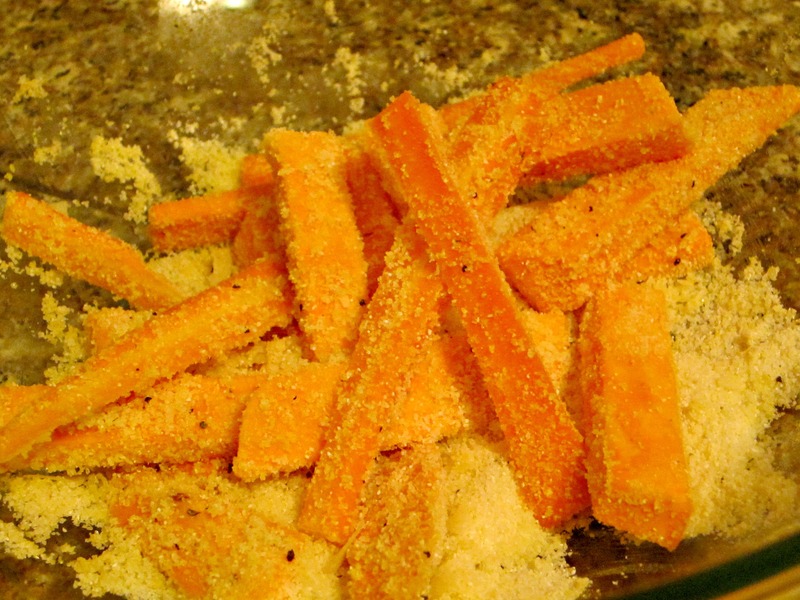 Make sure that the carrots and potato slices are the same size and thickness to ensure that they cook evenly. 2. In a medium sized bowl, toss veggie slices with olive oil. 3. Mix the remaining ingredients (corn meal on down) in a small bowl. Once evenly mixed, pour over your vegetables and toss until vegetables are evenly covered with the corn meal mixture. 4. Once coated, lie vegetables flat in a single layer on a cookie sheet lined with parchment paper. Gotta love parchment paper–saves me from so many “oh no it’s burned!” disasters. 5. Roast fries for 10-15 minutes at 450 degrees. Check periodically to make sure they are not burning. You will get a couple that get overly-toasty, but checking on them every so often will make sure that you don’t end up with a blackened mess. 6. 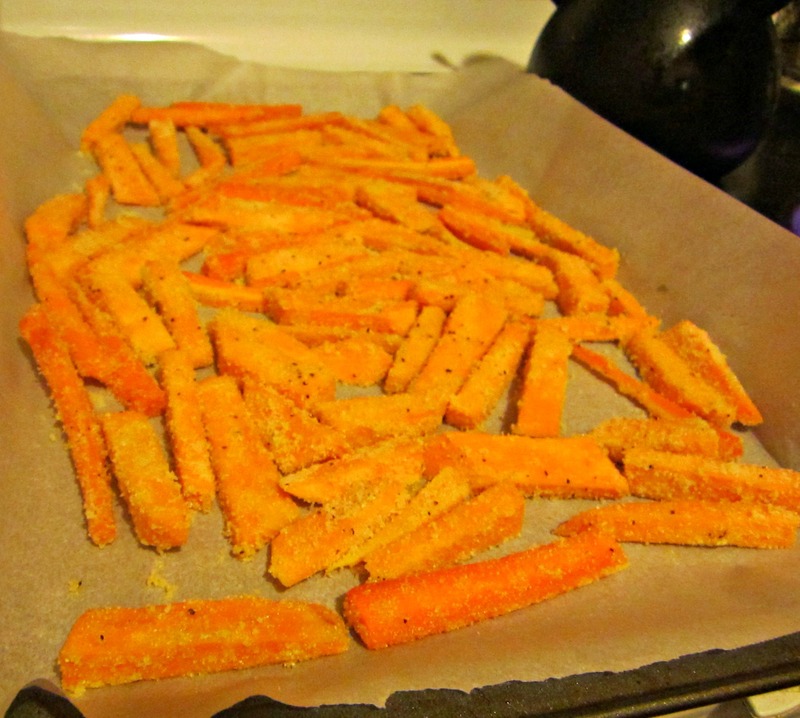 Once soft inside and crunchy outside, pull fries out and sprinkle with a pinch of salt and pepper. These cool down really quickly, so the sooner you can make it to the nom noms the better.